In February 2002, an unknown twenty-two-year-old torch singer released her debut on a modest jazz label. It was the start of a majestic journey. After all, how could anyone resist when she asked ‘Come away with me’? 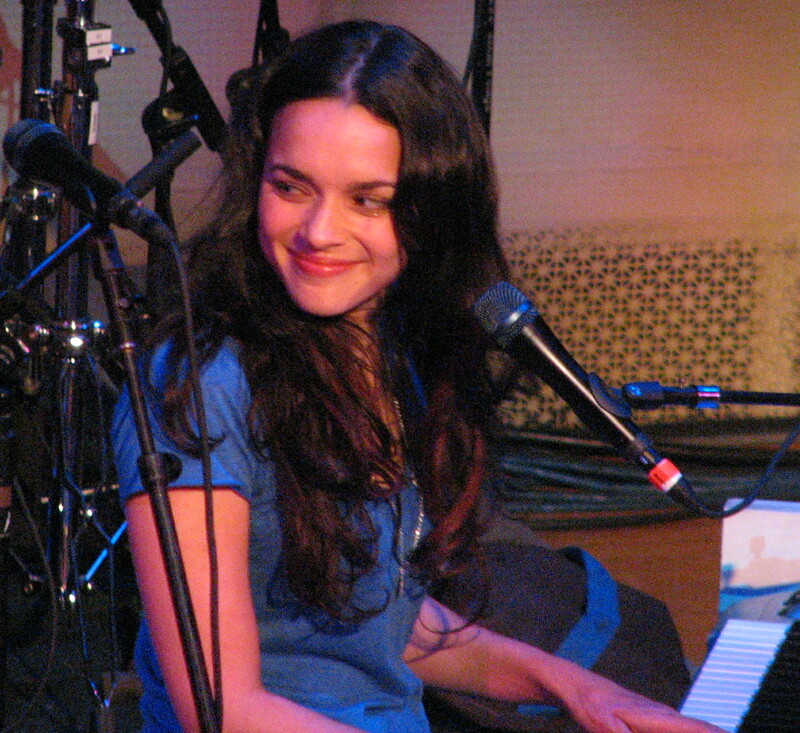 Angel-voiced enchantress Norah Jones, today proclaimed as the best jazz lady of her generation, started her career taking the world by surprise. Come Away With Me was certified a diamond album in 2002, selling over 20 million copies and earned Jones five Grammy Awards, including Album of the Year, Record of the Year, and Best New Artist. The album remained on the Billboard charts for over a year and it was ranked 54th on the list of the 100 Best Albums of the decade by Rolling Stone – a feat that is even more stunning considering the lack of pop star hype surrounding her name and the fact that only one song on the album, beautiful “Don’t know why”, has received major airplay. Even though some attributed her success to a post-9/11 desire for soothing music, that seems to be stretching too far a very clear fact: no one else sounds like her. Three more successful albums followed: Feels Like Home was released in 2004, Not Too Late, in 2007, the same year she made her film debut in My Blueberry Nights starring alongside Jude Law, and more recently, in 2009 came The Fall. All gained Platinum status after selling over a million copies in the US alone. Billboard magazine named her the top Jazz artist of the 2000-2009 decade. To me Norah was a revelation. I first read about her in a kids’ magazine when I was about 12 years old. It was the summer of 2004 and she had just released Feels like home. I hardly knew anything about jazz – in fact, I was obsessed with Britney Spears – but the same afternoon I found myself taking my dad by the hand and walking into the record store. The moment I got the album in my hands, I opened the case and took out the lyrics booklet. It had the strong smell of recycled paper. When I went back home I locked myself in my room and listened to the first song, “Sunrise”. It was like nothing I had heard before. Only, I wasn’t sure I liked it. I called my brother, who was 10 at the time, and he pretty much just told me off for throwing daddy’s money away for this trash. But I was a weird geeky kid. I had to live up to my reputation. So I listened to the whole album once. And then innumerable times again. I took the album with me to summer camp. I would watch the sunset from my open tent with Norah Jones on my Sony Walkman. I remember I felt proud of myself for discovering this new genre. That’s when Norah became part of my life.